As you explore API documentation, you can’t help but bump into curl examples. For the uninitiated, these may look unfriendly and confusing. REST assured (that’s an API joke), it’s not as bad as it looks. Knowing the basics of curl will help you interact with APIs. One of the reasons that curl is intimidating is because it can be used a lot of different ways. It works with a bunch of data transfer protocols, but for APIs you’ll usually see it use HTTPS and HTTP. That’s the same way that web browsers exchange data. See, this isn’t so foreign after all. On success, you’ll see a long list of command options. Almost every letter of the alphabet, capital and lowercase, are mapped to commands in curl. That’s one of the things that makes it seem difficult. That means you’ll need to install curl. You’ll need to download a binary for your operating system. Make double sure you choose a binary option, because getting the source would require you to compile curl on your own system—that’s way more complicated than most people need. Try the example curl command again with the -h (the help option) to make sure you’re good to go. It may seem like hyperbole, but your first curl request is going to space. Well, almost. We’ll be calling the Open Notify API to get the number of astronauts currently outside our atmosphere (likely on the International Space Station). The number of astronauts in space in this case is three, but your result could be different, because Open Notify is always up-to-date. It also provides additional information on the people in space and where they are. GET is an HTTP method used to read data. These simple API calls don’t even require curl—you could load this data directly in your browser. For more advanced API requests, you’ll start to see the value of curl, so let’s move on to writing data using a POST request. You can use curl to read and write all kinds of data. That’s what it does! You can use JSON, XML, URL encoded data, and more. When using APIs, new data is often written with a POST request. If you’ve ever filled out a form on a website, that data is also sent with the HTTP POST method. It’s important to copy from Stripe, because they will give you a test token that works. When writing data you almost certainly will need to authenticate, because otherwise anyone could write data anywhere, including in your account. Stripe gets around this to provide a great developer experience by generating test tokens in their documentation—even if you haven’t signed up. The token is passed with curl’s -u flag, which takes a username and password. In this case, the token is the username and the password (which would be on the other side of the :) is blank. When you perform the operation, you’ll get back a big blob of JSON. Success! But, even though JSON was in the response, we haven’t quite POSTed JSON yet. One of curl’s many flags is -d, which sends data along with our request. Because curl can be used in so many different ways, this flag is versatile. It can be used once or multiple times (as Stripe does here). By default, curl will send all -d data bunched together with & separating them. It URL encodes the data as would happen with a form (x-www-form-urlencoded). In the case of Stripe, this is exactly what they’re looking for! Other APIs may be looking for JSON directly in the body of the data that you POST. In this example (which uses example.com and isn’t live), you’d write a new coffee shop to a place API. The name and place type are sent along in JSON with the -d flag. Note that the entire JSON is wrapped in single quotes, which allows us to use double quotes in the JSON without things getting really ugly. There’s also some authentication (with the -u flag) and then we also need to tell the server that we’re sending JSON. To do that, we add a new Header with the -H flag. Now that you’ve made your first GET and POST API requests, take your skills further. Use Twilio, Slack, and (more) Stripe to make and combine API calls. With Hands on APIs for the Casual Coder you’ll get five short and fun lessons to master how APIs work. You’re now familiar with the basics of curl, but might have some questions. I’ve gathered common and anticipated questions below, but feel free to reach out with your own and I’ll try to answer them. When you run it from the command line, it’s always lowercase: curl. Additionally, that’s how the creator refers to it and how most others write it, as well. Sometimes it’s given a capital c: Curl. The only time it’s consistently written with any uppercase letters is for the PHP library, cURL. What is the difference between wget and curl? You may already be familiar with another command line utility, wget, which has some similar functionality to curl. The focus of wget is centered on HTTP, HTTPS, and FTP. That means wget is perfectly capable of doing everything shown above. However, wget only supports basic authentication (username and password), so you might have difficulty accessing APIs with more advanced methods. The cURL library in PHP can be used to make API and other calls from your PHP code. There is more curl than simply the command line utility. The curl command we used above is built on a C library called libcurl. PHP’s cURL is also based on libcurl. What is cURL in WordPress? If you’ve dove into WordPress source code, you may have seen cURL mentioned. As WordPress is built on PHP, it uses the cURL library to make its own requests. As of WordPress 2.7, there are helper functions like wp_remote_request you can use instead of calling cURL directly. Twilio and SendGrid are leaders in their infrastructure categories and certainly APIs every developer needs to know. If you’ve been around the developer community for awhile, you likely already consider these two like twins separated at birth, so maybe then it’s natural that they’re set to join forces. Twilio (a leader in telephony APIs) recently announced its acquisition of SendGrid (email services platform), which it expects will close in 2019. Both companies are publicly traded, so these things take time. Together they represent a key expansion of Twilio’s communications platform into the tough area of email. You think bringing the world’s telecommunications players under a single API is hard, try dealing with spammers. Unwanted email is the first thing many people think of when they hear about sending email at scale. What SendGrid and any reputable email provider tries to do is ensure the quality of the email they send. Just as Twilio is an API interface into a whole world of telephony, SendGrid is far beyond a simple email server most developers could build. Think of the commercial emails you actually want to receive. Many people look forward to valuable newsletters or updates from companies they follow. Even if that’s not you, receiving an email with a download for something you just bought, a password reset message, or a receipt for a big purchase… these are all the types of email that made SendGrid’s name and created the developer-friendly transactional email category. I worked at SendGrid (and, full disclosure, I’m still a stockholder) and saw the efforts the teams went to build a developer-friendly API, maintain the infrastructure to run at massive scale, and most of all to keep the email high quality. The compliance team had to fire customers for the greater good of the entire platform. They worked with every major email service (Gmail, Hotmail, Yahoo, etc) to create whitelists and feedback loops. 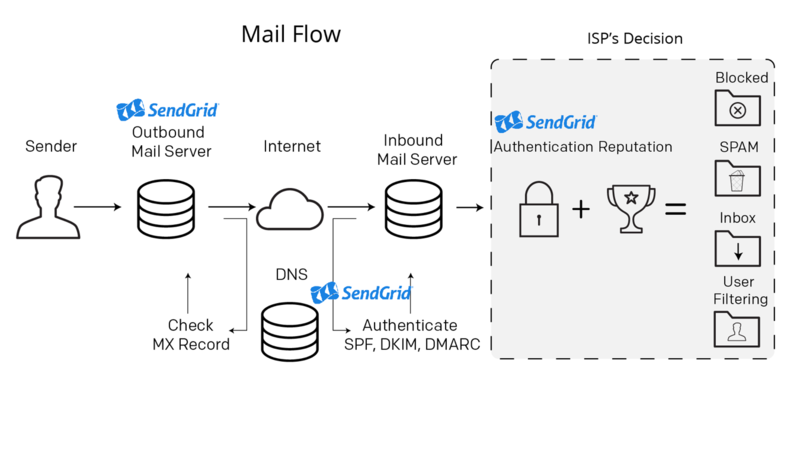 If you’ve ever tried to get email delivered without the help of a provider like SendGrid, you know how hard it is. There are quite a few ways you can communicate with people now and APIs to control all of them. Here are some of the largest slices of the pie, along with the likely leader*. *Those are subjective decisions based upon my own research, but all of these categories have multiple, strong players. Some other emerging areas of communications infrastructure are rich communications services (RCS or rich messaging) and web notifications. Others might include Slack and similar workplace communications tools. While important, those aren’t really oriented toward mass communication nor focused on developer interaction at an infrastructure level. You can see that with SendGrid’s email service, Twilio is leading in several slices of the communications infrastructure pie. Twilio also dabbles in every category in some capacity, but it’s hard to really be the best in many categories on your own. The ones who try to build the Communications Everything platform from the ground up end up not excelling in any of the slices. With its primary focus on telephony, Twilio would have a hard time building SendGrid on its own. Now that it acquired the leader, we’ll have to see if it can maintain a suite of best-in-class products. Who knows, maybe Urban Airship is next? Maps are the most popular way to add location features to your website or mobile app. If a user’s whereabouts is important to your application, you’ll likely want to visualize your data geographically. For example, any directory, marketplace, or social product will at minimum need to display nearby results. It’s easy to zero in too narrowly on one of these areas. Read on about each approach, but remember to consider the overall tradeoffs between them. Naturally a big focus for some is on map data and the styling that determines how it is displayed. Similarly, you may want to customize the styles, an advanced approach that can let you choose colors and highlight or remove certain types of map data. There are only a handful of providers for worldwide geographic data. It’s a huge job to gather and maintain every road, park, landmark, and other entities. That’s why historically this has been handled by just a few large companies. For example, when Google Maps started, it used Navteq (now owned by Nokia and branded as HERE). Sometime after the acquisition, it switched to TeleAtlas (a subsidiary of navigation company TomTom). While Google has mostly moved on, you’ll find many providers still using one or both of these two data providers. In addition to the location data companies, some map providers have collected their own data. Most notably, Google Maps has been built on Google’s own data for some time. Between its satellites, StreetView vehicles, user-generated corrections, and other means, Google’s data is now widely regarded as the best available. MapBox is also notable in its reliance on OpenStreetMap. MapBox supports the long-running community of volunteer mappers, which can often have the most updated cartography, especially in fast-changing locations. Additionally, MapBox is the only provider that lets you bring your own data, in case you have intimate knowledge of a region not covered by others. The data behind each provider is naturally visualized on the map itself. Though roads, parks, and landmarks are table stakes for maps, some go further. Individual lots, buildings, and even three dimensional structures are included with some maps. In most cases, colors and what’s visible at each zoom level is predetermined by each provider. However, Google and MapBox each have highly customizable interfaces. There are visual editors for styling, though you’ll need some technical chops to implement either of them. For non-customizable providers, you’ll want to compare imagery yourself to see if the detail and design meet your needs. Keep in mind that a single provider may have more or less data available in certain regions and at different zoom levels. You’ll want to compare by looking at locations you expect to be most used. Since the launch of Google Maps in 2005, users expect to see satellite imagery. Users often consume satellite images as a way to augment the data-generated map (sometimes referred to as a “hybrid map.”) Satellite shots are especially useful with apps aimed at hiking and other large outdoor area use cases. As with the underlying data, you can expect differences between providers. Again, it’s best to view the regions and zoom levels most used in your application. Google has the head start here, but the differences are less stark. For one, satellites are more common and less expensive now than they used to be. Each provider must still stitch the images together and interpolate the locations. With modern map APIs, the actual map is just one piece of the experience. You also gain access to an ecosystem of supporting services. For example, you’ll need a geocoder to accept address and other input from users. If you need to provide driving directions, a routing engine may be important. Certain providers are better in one area than another. When it comes to additional services, you may be tempted to bring results from one provider to another’s map. The reason you’re often adopting an entire ecosystem—a suite of location tools—is embedded in some terms of service. You may only be able to use specific data in combination with its underlying map. For example, Google’s geocoder (which converts addresses into machine-readable coordinates) requires that developers also use Google Maps to visualize the data. Even though a server can make a call to the geocoding API, the result needs to be displayed client-side. More open-friendly options, such as MapBox, may be more willing to allow results from different services. But you’ll need to check the terms of service for both providers when attempting to mix and match. Other than a map itself, geocoders are the most common location services. Typical geocoding converts an address (or other human-readable location) into something that can be interpreted by machines. Typically, the result of a geocoder is a pair of coordinates—latitude and longitude—that describe a location on earth. As with other map data, you’ll get different results for geocoders based on the provider and the region. Typically, Google’s results will outshine others, based on the foundation of location data and user interactions it has available. Try out a few known search terms and see how each performs. Reverse geocoders, as implied by the name, go the opposite direction. Given a location, often received from the user’s GPS, a reverse geocoder will return the nearest address, business name, or other landmark. Often, the interface for a reverse geocoder (function, API, or SDK) is the same as the forward geocoder. One way to get better user input for searches is to help them with search suggestions. Google made this famous in its web searching product, and comes through for maps, as well. But other providers have solutions to fit what you’re after. Similar to geocoding, which relies on addresses, businesses are often the even-more-human-readable name behind a place. That’s where Place APIs come in. Additionally, you may want to search on particular facets, such as the type of business or whether the business is open now. This type of search may sound familiar from your smart phone’s built-in mapping app, or through other services such as Yelp. You’ll find solutions for this within Google, MapBox, and Bing mapping suites. These are available as either part of the map API/SDK, or via a separate service. Additionally, you can find outside Place APIs, such as Foursquare and Factual. For years, the Google Maps API was completely free. There were paid versions, but those early options were focused on access to support, reliability agreements, and some flexibility in the terms of service. However, since 2011, Google Maps has had a public paid tier, required of heavy users. As a startup, MapBox always provided a paid plan. Bing Maps has enterprise pricing, which is not shared publicly. As of the most recent updates to Google Maps pricing, the most generous free tier is available from MapBox, which provides 50,000 views per month without a charge. Google’s 28,000 views per month is still enough for most of the millions of websites that use the search giant’s mapping service. Bing pricing is harder to find, but appears to allow 125,000 views per year. You’ll also want to consider costs beyond the service itself. For example, you’ll want to consider the developer experience of each API, as that will determine how quickly you’ll be able to get up to speed. Further, you may need to connect some features (such as place auto-suggest) to the map for certain providers, where-as others support the feature natively. And customization options are a two way street: on one hand, changing underlying styles is powerful, but on the other, it takes more developer time than going with default styles. Check out our map APIs comparison to see how each sits on developer experience, mobile options, and our quick takes for why to use each provider. When the API is the beer, the API’s biggest competitor is the home brewer. Developers love to solve problems. In the face of a new problem, even one with a few complexities, we’re often prone to diving in for a solution. In Bob the Builder, a children’s cartoon, Bob asks “can we fix it?” Developers often respond to this question as the construction equipment characters do in the show, with a resounding “yes we can!” Just because we can build something does not mean we should. Here are three APIs that have recently given developers even less reason to re-solve a problem themselves. The response includes the total for the order, including the tax required for that particular customer. To make this work, we’ve partnered closely with both Avalara and TaxJar to build integrations that effectively take care of the calculations for you. They also take on the work of maintaining a canonical (and extensive!) database of tax rules. Just as Stripe takes away the pain of payment processing, it’s now layering on cures for a couple other customer headaches. And it’s notable that Stripe has turned to other API companies to do the heavy lifting. The feature developers have re-built more than any other may be a login and registration system. That makes it both a great opportunity for a service, as well as as service devs might brush off and build themselves. Why pay a User Login API every month? There are many answers to that question and Auth0 has added another. 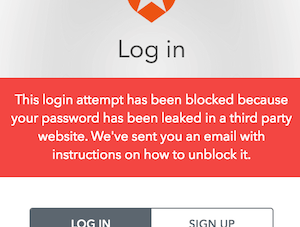 Auth0 tracks security breaches, because that’s their business. Using the leaked data, it can determine accounts under its watch that have the same usernames and passwords. That way, they decrease the risk of password reuse by proactively locking accounts that have the potential to be compromised. Not only is Auth0 helping developers build sound registration systems, now it is helping them protect against future attacks. Checkout pages are largely the purview of designers and front-end developers. The UX can make all the difference between customers and abandoned carts. Braintree’s new beta SDK has a feature to help style your forms. See the Pen Hosted Fields: Card Form by Braintree (@braintree) on CodePen. Braintree’s hosted fields enable fully styled and interactive payment screens, all while maintaining PCI compliance. To have complete control over your applications sometimes is used as an excuse to build yourself what someone else can solve. Whether it’s taxes, shipping, leaked passwords, or payment form interactions, these three APIs have given additional reasons to talk back to Bob the Builder. Yes, you can build it, but you’re better off focusing efforts elsewhere. Let the master beer brewers do what they do best. MapQuest’s modern approach is to suggest their plugin to the popular open source Leaflet library. Super-customization map startup MapBox suggests Leaflet exclusively. In each case, Leaflet holds the standard map controls, using tiles from each provider. Google Maps terms of service do not allow developers to use its tiles outside of the Google Maps API, but there is a Leaflet plugin built as a wrapper for Google Maps. Do You Want API Billing Data Via API? When you invite APIs into your stack, they become part of the infrastructure your code is built upon. This is especially true when the API is the beer, as it is for the API comparisons on EveryDeveloper. Yet, since the API is a service someone else runs, you have far less control over it than the rest of your code. When a billing, usage, or pricing endpoint is provided, it helps you keep a closer eye on this auxiliary piece of infrastructure. MapBox released API analytics, which makes map view and other usage data available programmatically. The animation above shows how you could plot the values in a chart, but you could also build alerts or email reports from the data. You could save yourself, or your team, from logging into the MapBox dashboard. What do you think? Is it? MapBox and Twilio are among the great APIs with one thing in common, but that doesn’t mean we have to like everything they do. Meta-features like billing are more table than beer, meaning they support the service rather than are the service. Certainly, the more committed to a platform, the more likely you are to integrate usage data (in fact, MapBox only provides it at the top two tiers). I think it’s a sign of a mature infrastructure API, but does the feature alone make you more interested in the service? Let me know on Twitter or send me a message. I’ll incorporate your feedback into future research. Ever since launching this site I’ve received many emails with ideas for other comparisons. With thousands of public APIs there are many ways one could compare APIs. How do I focus in on only the APIs that every developer needs to know? I think about beer. 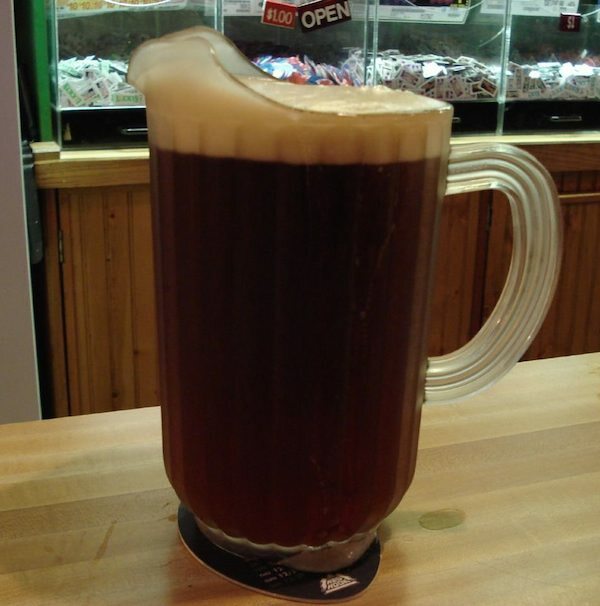 Let’s say you’re at a bar and ordering a pitcher of your favorite beer. (If you don’t drink beer, feel free to substitute your beverage of choice). You set the pitcher down at your table, because hopefully you are sharing the beer with others. Right? That’s a lot of beer for one person. Why are you here? For the beer, obviously. Yes, you like spending time with your friends, but you could do that anywhere. The table itself is unlikely to have influenced your decision. The beer, in that pitcher in front of you, is likely the thing that has the most interest. 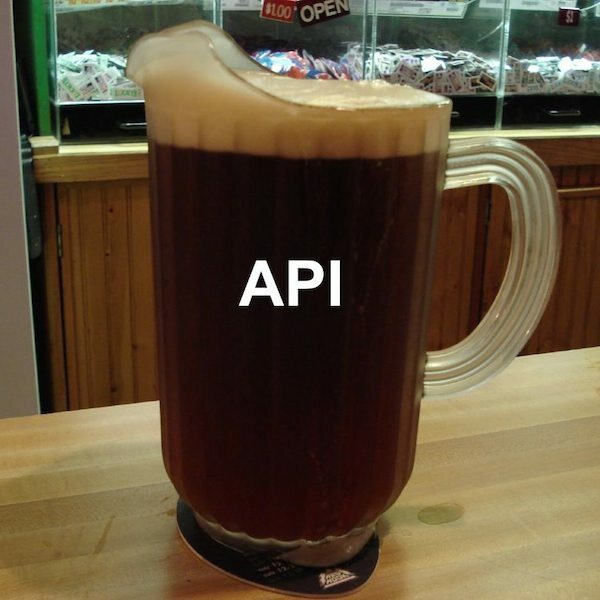 For the vast majority of APIs, they are not the beer in this scenario. Most APIs are the table. A sturdy foundation, certainly. A place to gather around, yes. But not likely the main attraction. 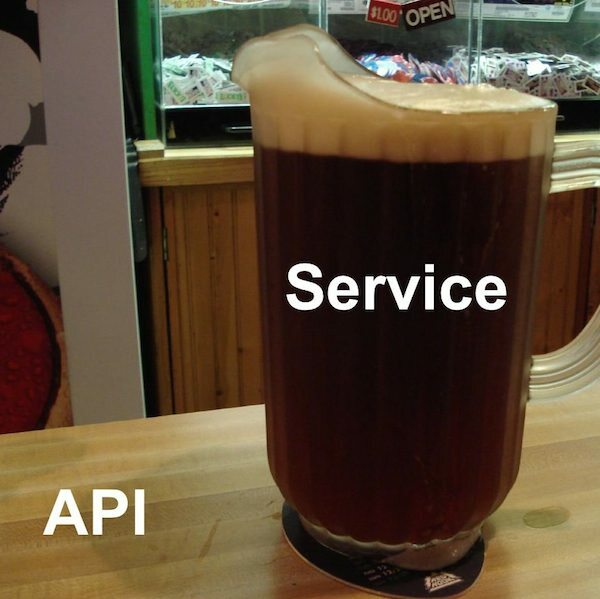 The beer, in the case of most APIs, is a service that the API supports and extends. The service is likely even built on the API. These “table APIs” are certainly interesting. These are the APIs covered in my Business User’s Introduction to APIs. If you’re a Salesforce user, for example, you care about using the Salesforce API. If Google Docs is at the center of your business life, you definitely want to be able to automate your workflow. There are many, many decisions that drive whether you choose a service. The service’s API is unlikely to make or break your decision to use it over its competitors. The service itself is what you care about. The service is the beer. If the majority of APIs support a service, that leaves the minority of APIs where the API is the service. The APIs every developer needs to know fit this criteria. The API is the beer. It’s the reason you’ve come to the table. Sales gets to decide which CRM to use. Marketing gets to decide which newsletter software to use. When the API is the service, developers get to decide which brand of beer to buy. It’s through that lens that I’ll choose which APIs to compare, so that I can help developers make (and defend) the right choice for their situation. Now, who needs a drink? SDKs or libraries are important elements of a good developer experience. That’s why the API comparisons include a run-down of available libraries and why this factors into the DX Index. But how do libraries help improve the developer experience? In two primary ways, one of which is illustrated in a new update from one of the User Login APIs. Why are API libraries important? The second is absolutely related to the first. 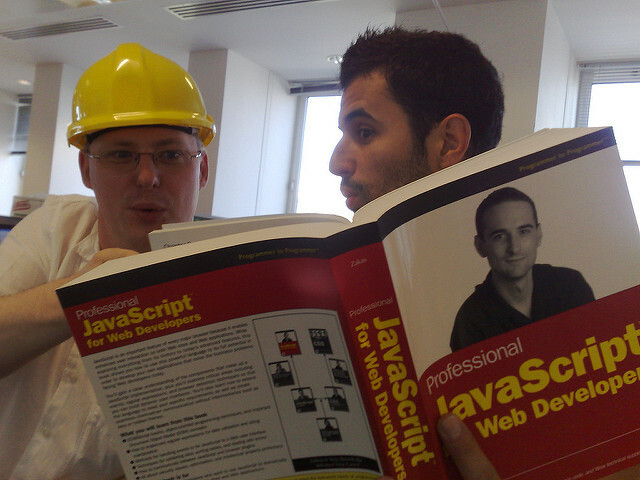 With fewer choices to make, a developer can more quickly write code against the API. We often received this question: because the tokens are cryptographically signed, can I skip the token verification round-trip to the Stormpath REST API? You bet! This was always possible with the local validation strategy option, but in 3.0 we’ve made local validation the default. We also refactored our middleware chain, to not attempt to resolve the current user unless you’ve explicitly requested a resolution with the getUser middleware. We made this change because it was too easy to accidentally require authentication on your public asset routes, and this could cause a serious slowdown if your front-end needs to request a lot of assets during bootstrap. In the same way that choices degrade user experience, they also can be barriers to entry for developers. One difference is that we usually want APIs that are adaptable to our use case, which might run counter to few choices. The user experience analogy continues to work, as software usually has some base features for everyone and additional power user functionality. The libraries, with their good defaults, help developers get started and work long term for the majority. When you need more, you either change the defaults or move outside of the library to use the API directly. Your very first experience with an API may be directly via cURL. Your second experience is almost certainly via an SDK or library, which is where good defaults will make you much more familiar with what’s possible. In its latest release, StormPath has proven worthy of its DX Index by being thoughtful about its defaults. Any API that courts developers typically has a whole team of people working to create a great developer experience. In fact, this should be an important factor in choosing an API. If there are no humans behind an API, who will you go to if something goes wrong? There are many groups that are part of supporting developers, but a Developer Relations team is often on the front lines, with a balance of marketing, support, product, and engineering duties. These developer evangelists or developer advocates attend events, write code, talk to developers, and share sample applications or use cases. It takes a rare person to succeed in the role, and it’s highly sought. We’ve decided to rethink #battlehack 2016 & are working on new initiatives to engage with you all. Follow @braintree for future updates. The BattleHack had been a much-promoted, world-wide event for PayPal (Braintree’s parent company). According to TheNextWeb, along with shuttering the series of events, Braintree laid off some or all of its developer advocates. The Twitter account meant for communicating directly with developers now points to the main company account. “Developer advocacy… is at the core of everything that we do,” PayPal said in a statement to TheNextWeb. That would be an exciting proclamation if true, but it smacks of spin. Removing the most visible humans behind an API is not the way to gain trust of developers. Braintree moves a notch down in the DX Index, based on elements of the rating tied to direct support, at least until it shows it really is serious about developer advocacy.